How often do you hear these? Replace your toothbrush every 3 months. Brushing too hard will cause bleeding gums. When both of these known ‘myth’ is actually a known fact, we still need to get parts of the facts straight. Systema is currently doing a campaign called ‘Gumbatte’ where they are aiming towards 1 million gum health checks across Malaysia. As important as you think your teeth are, your gum is the actual component which deserves the extra TLC. They are a brand known for its super-tapered toothbrush, and is currently leading this segment in Malaysia. 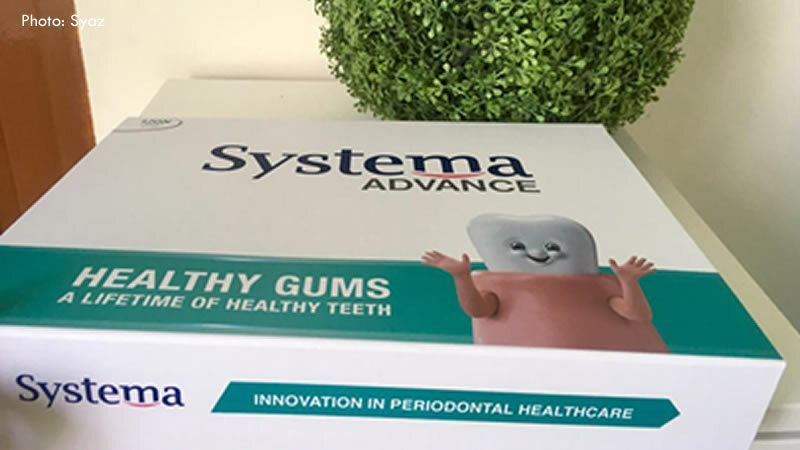 The ‘Gumbatte’ campaign brought yet another breakthrough in oral care by introducing their toothpaste, Systema Advance. I was given the chance to review a range of their toothbrush and toothpaste. Its super-tapered toothbrush not only come as a type but there is a wide array designed to suit individual needs. Their brushes are durable, able to effectively, yet gently clean the gingival line and between teeth. According to their professionals, toothbrush needs to be changed once the bristles have misaligned but 3 months is the safe bet as that is not the only reason for the change. Toothbrushes is a breeding ground for germs and a new brush is necessary to maintain good gum health. Regular in its looks but the head is a comfortable size while ensuring an effective clean throughout. Its soft bristles reaches the entire teeth area including the bottom part where the tooth meets the gum, without giving that scratching pain other ordinary nylon bristles would. Its 40% thinner head is an amazing feature which enables it to reach 5mm deeper, removing 7x more plaque at the back and wisdom teeth areas. This is very essential as the back areas are always neglected, inviting more gum diseases leading to more damage to the back, wisdom tooth. I personally love that it gives me a feeling of a thorough cleaning. A personal favourite, this toothbrush has 5-multi cleaning actions to clean every part of your teeth. Its 3D cleaning feature includes a staggered type bristles where it has (1) both long and (2) short middle bristles to clean uneven teeth better, (3) longer outer bristles to penetrate deeper into gum lines removing 9x more plaque, (4) spiral power tip that reaches back of teeth to scrape plaque effectively, and (5) an extra feature, tongue cleaner! 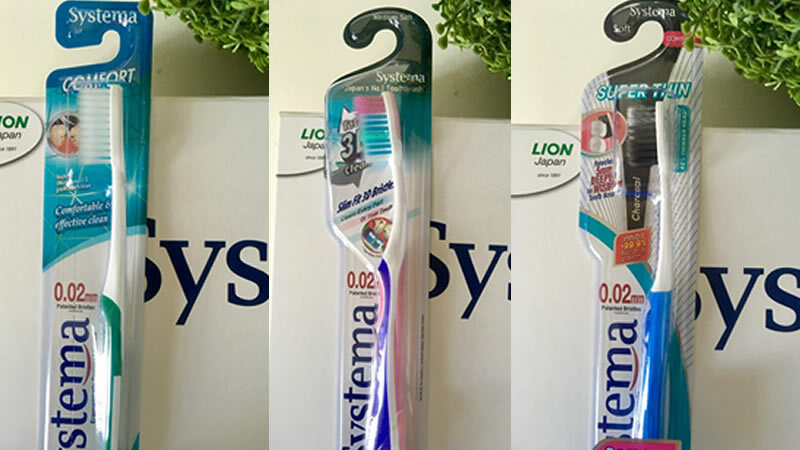 This newly launch type definitely packs all of Systema’s best toothbrush features into one while still offering the magical gentle, super-tapered 0.02mm bristles. To optimise your oral experience, toothbrush alone is not complete without toothpaste, and this is where Systema Advance comes in. 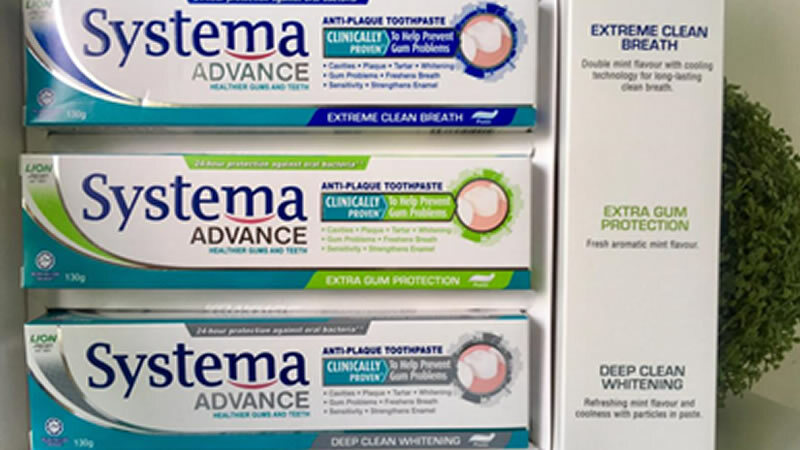 In comparison to ordinary anti-bacteria toothpaste, Systema Advance fights the causes of gum disease 4x better besides giving 24-hour protection against oral bacteria which is the main cause for many gum problems. Supposedly killing 99.9% bacteria, it reduces the tendency of bacterial infection which will in turn cause gingivitis, an occurrence where the gum is swollen and inflamed. 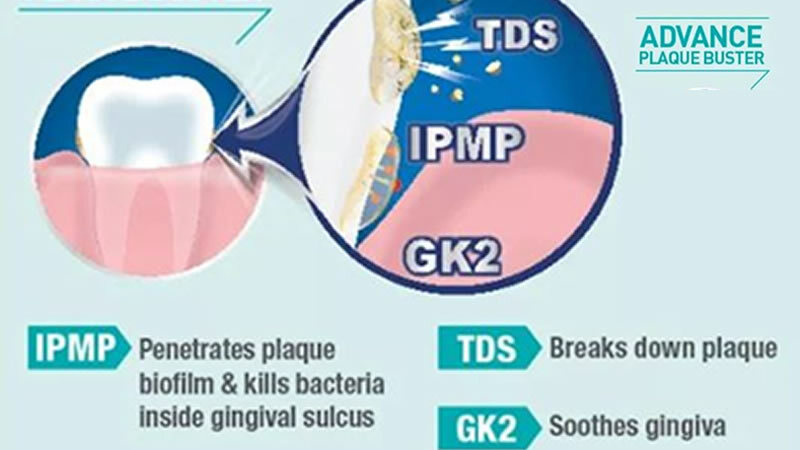 Labeling itself as an anti-plaque toothpaste, it is the world’s first toothpaste combining the power of IPMP, TDS and GK2 for superior plaque removal in gum pockets. Systema Advance comes in 3 paste range with the same Advance Plaque Buster feature but different extra add ons to fit individual needs. Systema Advance Extreme Clean Breath : It is named extreme for a reason. Double mint flavour for those who prefer strong minty, clean taste after each brush. Its cooling technology ensures a long-lasting clean breath. Systema Advance Extra Gum Protection : For those who prefers a classic fresh and aromatic mint taste in their wash but still packs a punch of the Plaque Buster. Systema Advance Deep Clean Whitening : Its refreshing mint flavour comes with a twist where its paste contains whitening particles for those who wants pearly white smiles. 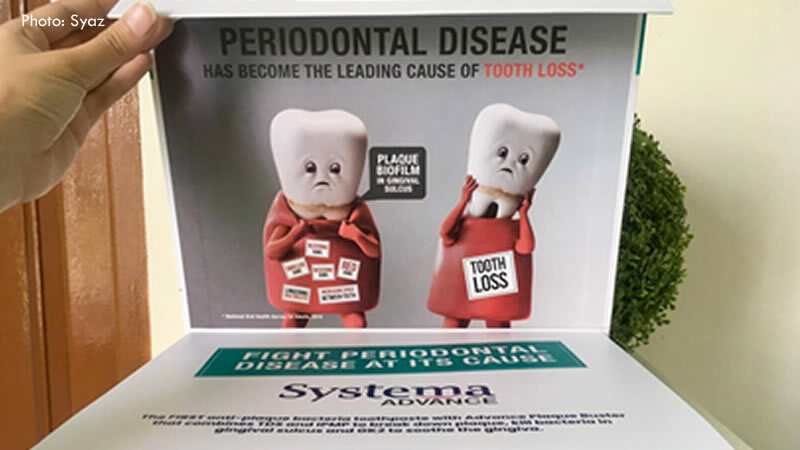 Systema believes that cleaning the teeth should go beyond just the tooth surface. To keep gums and teeth healthy for life, the right oral care is essential. Make sure yours is at pink of health by doing the free checkup online at http://gumhealthcheck.com/.